Gone are the days when Facebook was a just social network for friends and relatives. It’s become a powerful tool for brands to build awareness and trust, as well as communicate marketing messages to their audience. With more than 2 billion daily active users, Facebook deservedly wins the garland as the number one social platform for about 60 million of businesses trying to turn users into followers for better conversion. The same goes for personal brands. Entrepreneurs go to Facebook for case studies, information, and insights to add to their business strategies. 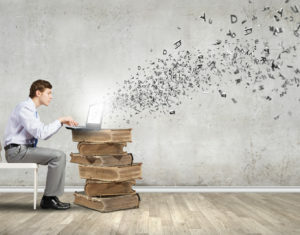 And who can introduce the latest trends, actionable tips and tricks, and marketing techniques better than business writers: top-ranked and best-selling ones? Here are nine experts in entrepreneurship, marketing, and leadership that you should be following on Facebook. An entrepreneur, blogger, author of 18 books, TED speaker… Seth Godin writes about marketing and leadership in the post-industrial revolution. You probably are familiar with his books, which include Purple Cow and The Dip. Godin is also known for his short blog posts which are some of the most readable and shared on the internet. Follow Seth Godin on Facebook. A venture capitalist and marketing specialist, Guy Kawasaki is known for popularizing the concept of evangelism marketing. He has written multiple books about competition, sales, and finding your place in a fast growing and moving world. Follow Guy Kawasaki on Facebook. Robert Cialdini is a psychologist and the author of books on persuasion for business, marketing, and daily life. According to Cialdini, all decisions you make in life—including “to buy or not to buy”—are based on a number of principles that includes unity: “The more you identify yourself with others, the more you are influenced by them.” Follow Robert Cialdini on Facebook. Michael Hyatt‘s marketing tagline is “Your Leadership Mentor.” The former CEO of Thomas Nelson Publishers is a blogger, speaker, and author of seven books about goal setting, business writing, and productivity. If you’re looking for motivation as well as a methodology to create an actionable business plan, you should be following this writer. Hyatt also hosts a podcast on international leadership. Follow Michael Hyatt on Facebook. To learn the secrets of effective social media marketing, you might want to follow this business writer on Facebook. Michael Stelzner is the founder of the online blog Social Media Examiner, and he writes educational articles, step-by-step guides, case studies, and tutorials on everything you need to know about marketing on social media. Follow Michael Stelzner on Facebook. Specializing in authority and lead generation, marketing consultant Ian Brodie shares actionable techniques to help entrepreneurs become experts in their business field. His “5 Day Authority Challenge” helps professionals explore their businesses to understand the changes they need to do to make it more effective. Top Sales World magazine calls Brodie “one of the top 50 global thought leaders in marketing and sales.” Follow Ian Brodie on Facebook. Well-known public speaker and author on motivation and self-development Brian Tracy has provided inspiration to entrepreneurs all over the world. He has written over 70 books translated into multiple languages; two popular ones include The Psychology of Achievement and Eat That Frog! Tracy’s Facebook page is a great platform for finding out about the latest news and trends. Follow Brian Tracy on Facebook. Lee Odden, the CEO of TopRank Marketing, is a consultant, public speaker, PR strategist, and author of Optimize: How to Attract and Engage More Customers by Integrating SEO, Social Media, and Content Marketing. He teaches entrepreneurs how to manage their businesses online. Odden is an active thought leader and contributor to many websites, including Content Marketing Institute, CMO, Social Media Examiner, B2B Marketing, and more. Follow Lee Odden on Facebook. Jeffrey Gitomer is a professional speaker, business trainer, lecturer, and author who writes about sales, customer loyalty, productivity, and self-development. His learning academy provides online training for business people, and his The Little Gold Book of YES! Attitude and The Sales Bible have been New York Times best sellers. Gitomer is a certified speaking professional whose webinars and podcasts motivate thousands of business owners worldwide. Follow Jeffrey Gitomer on Facebook.